The Central Fireplace CF-42 Positive Vent was developed unlike any other gas fireplace to meet the requests of prospective gas fireplace owners. The design makes it the safest and most efficient gas fireplace and allows you the choice of placing the CF-42 gas fireplace anywhere without the need to vent through the roof of your home. The CF-42 is available as a freestanding, bayfront, gas fireplace insert or zero clearance gas fireplaces. 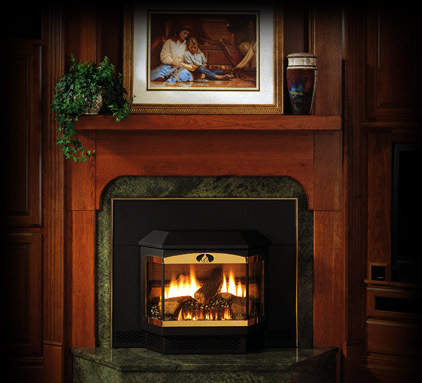 Central Fireplace's gas fireplaces are manufactured in Greenbush, MN.